Hey everyone! 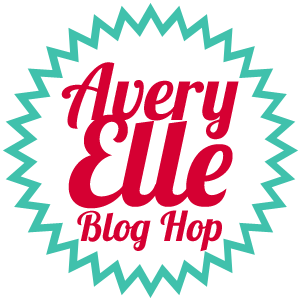 Are you ready for the new Avery Elle release? Before I move on to the fun goodies, I have to say a farewell and a hello. The farewell is for our sweet Kasia Curry. That sweet girl is stepping down from the team and we will miss her and her wonderful creations terribly! Hugs Kasia!!! The hello is for our new team member, Melania Deasy! I've always been a big fan of Melania and I can't wait to see what she's going to create! 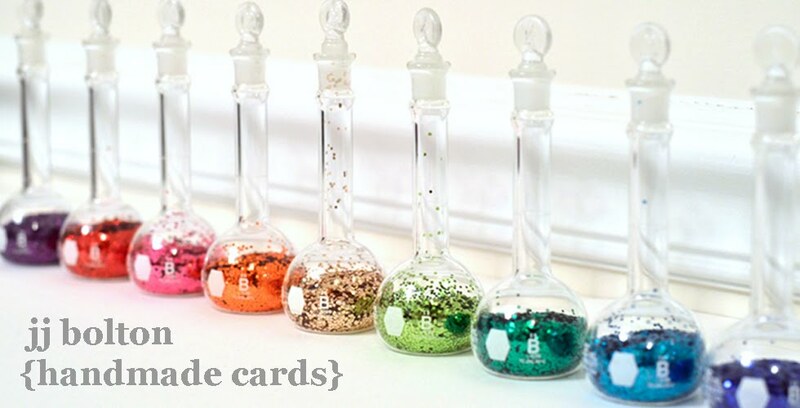 Now, let's talk new release:) For my card, I used the new knitty set, Made with Love! Even if you don't knit, this is the perfect wintery set. I used the long border stamp to create a custom background. To give it that dyed look, I blended Distress inks over my stitches in an ombre pattern. For the sentiment, I borrowed a stamp from the Let it Snow set. Apropos, no? 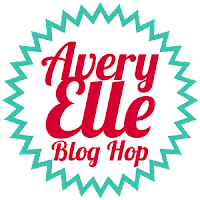 To celebrate our December 2014 Release Blog Hop, Avery Elle is giving away a $25 Gift Certificate to one random winner. To enter to win just comment on this post. There is no purchase necessary and you must be 18 years of age or older to enter. This giveaway is void where prohibited. You can also do options 2, 3, 4, 5 or all 6 of the following to increase your chances of winning. You have until midnight Sunday, December 7th to enter. The winner will be announced on the Avery Elle Blog on Monday, December 8th . All products are available for purchase in the Avery Elle store right now. Wow, that is such a cozy feeling card! Love these stamps, great job! Definitely a nice wintery stamp set. Great card! How fun and cool is this stamp!! I love your take on it, JJ! Perfect for a guy, too! Love the bright and colorful design! My granddaughter is starting to knit. I usually try to buy stamp sets that coordinate with her likes. this one will be on my list of "must have". Thanks for sharing a great card. This is a fun card! Cozy cute card, JJ! Love it! What a cool card!! Love the ombre look of this one & that's the perfect sentiment! Ohhh so bold and clean I love it! nice coloring bright and warm! I am not a knitter, but this is still just darling! Fun stamp set - I don't knit but I crochet so this stamp is a winner. I wish I had this card for my friend Pam. She would flip over it. Wonderful card! Lovely design! Thank you for the inspiration. nice and simple. great for mass productions! I like the ombre knit borders. Beautiful design, love the colors. This card truly gives you that cozy feeling...great use of the sweater stamp. Love the knitted panels and the inking! Cute card - love the knitting. LOVE your knitted borders, LOVE your ombre inking too!!! Another really gorgeous card, JJ! 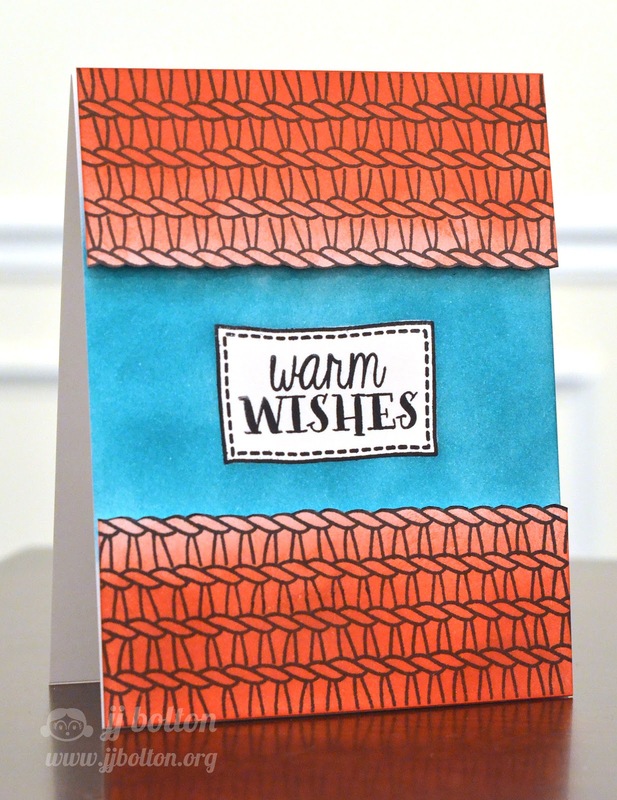 I love how you used your distress inks to create the ombre pattern...so pretty!